Circle Invest is one of the easiest products when you want to get started with cryptocurrencies. 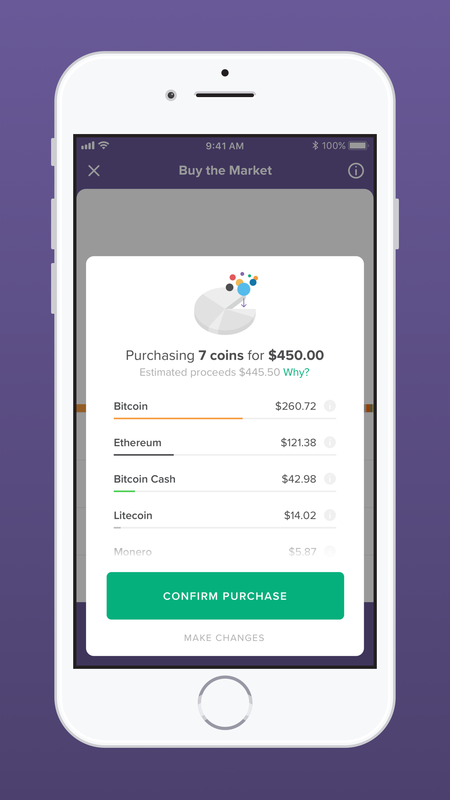 When Circle first launched the app, I compared it to Coinbase. And Circle is making it even easier to get started as you can just “buy the market” now. Circle Invest started with just a handful of cryptocurrencies — Bitcoin, Bitcoin Cash, Ethereum, Ethereum Classic and Litecoin. But now, the company has added Monero and Zcash. If you don’t know anything about cryptocurrencies, it’s hard to know where you should put your money. That’s why Circle has created a button that lets you buy all coins available on Circle Invest, weighted depending on their respective market capitalization. The total market cap of Bitcoin is much higher than the total market cap of Zcash, so you’ll end up with more Bitcoin than Zcash. Circle Invest is available on the App Store and Play Store in the U.S. except in except in MN, HI and WY. The company plans to launch in Europe at some point. The app only supports market orders. ACH transfers are free and you can buy instantly for transfers below $10,000 before the money arrives on Circle’s bank account. Circle says you can expect a bit of spread between the buy and sell price, just like on other exchanges. But the company doesn’t add any fee on top of that. Correction: Circle Invest is now available to users who live in NY.